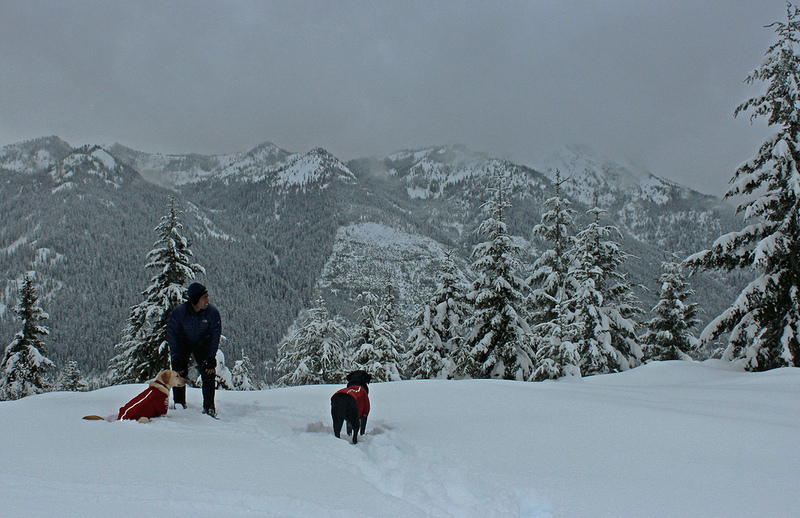 A lazy Sunday afternoon snowshoeing fun with the boys along Salmon La Sac Creek. We bypassed the creek viewing session by making a loop back to the trailhead, and that added a bit more excitement to the trip. The occasional sounds of snowmobiles could be heard coming from across the valley, better hearing the noises than inhaling the fumes. It appeared that the trail hasn’t been stepped on since the last big snow dump. Other than the new ski tracks down by the campground, we never encountered a single soul.